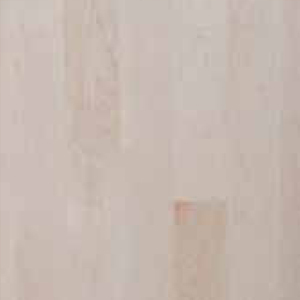 Hard Maple is known for its consistent appearance, denser grain and rich consistent color. 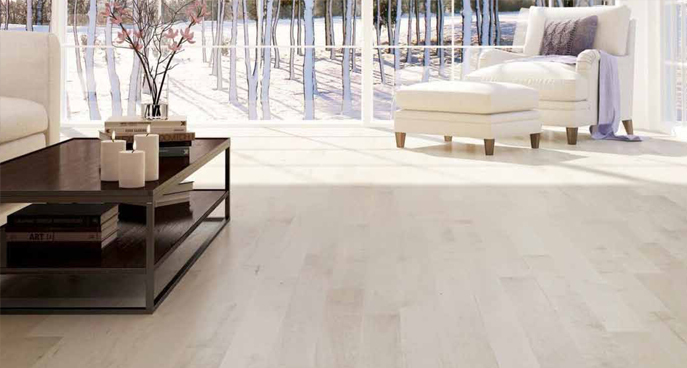 Maple provides a clean and contemporary appearance, however it can also be used for a ultra modern look or a country setting depending on the grade and color used. Maple hardwood is stunning in any setting. Maple Heartwood is creamy white to light reddish brown; Sapwood is pale to creamy white. It is very strong and durable, while being very versatile and stylish. 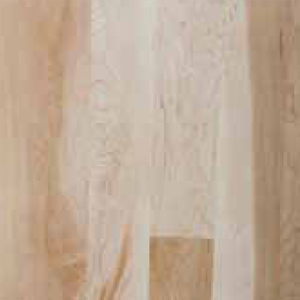 Hard Maple is distinguished from other maple because it is harder, more durable and has a much denser grain. Grain: Closed, subdued grain, with medium ﬁguring and uniform grain texture. Occasionally shows quilted, ﬁddle back, curly or bird’s-eye ﬁguring. Once stained, the grain is fairly even and consistent. Durability: Dense, strong, tough, stiff, often used in bowling alleys and sports ﬂoors. 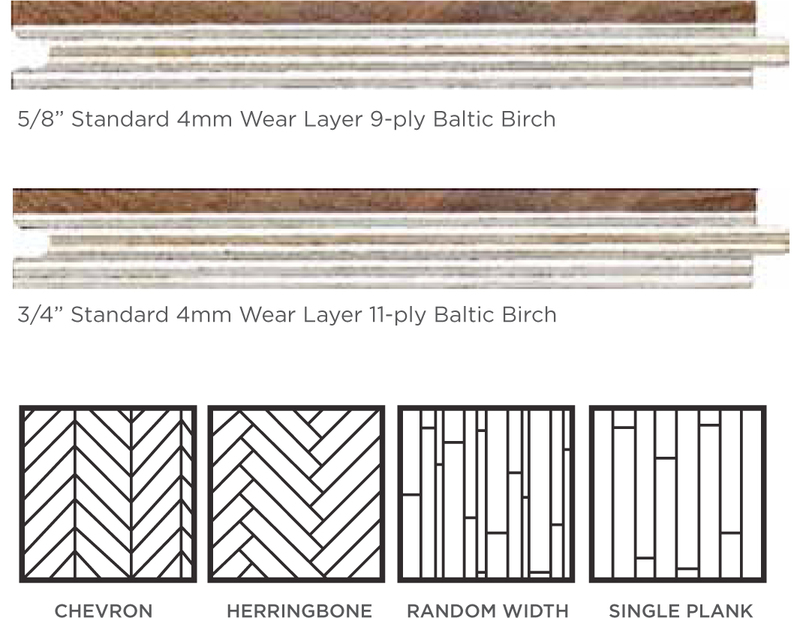 Widths: Available in solid planks 2 ¼ to 7. 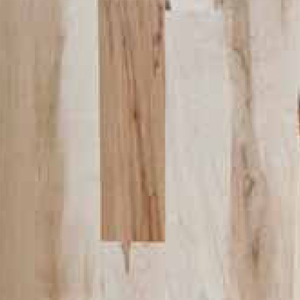 All white sapwood with little to no blemishes are permitted. Minor mineral streaking is allowed. No brown is premitted. A clean ﬂoor that allows color variation between the very white sapwood and very dark brown heartwood. Sound knots up to 1/4” diameter are acceptable and moderate mineral streaking. Color variation will vary upon production. Average board length is 32”. Allows prominent natural variation in color, with various imperfections and obvious character marks. Open knots permitted up to 1” in diameter that do not go through the board. Average board length is 23”. Available grades: Select and better, 2nd and better and 3rd grade. Lengths: Standard 1’-7’ Special order: 3’ or longer, 5’ or longer. Note: Can be ordered up to 12’ on as needed basis. Custom order. Wear Surface Standard: 4mm wear layer, Special 6mm wear layer available for custom order. Installation: Can be nailed, stapled, or glued. When gluing please follow NOFMA/NWFA recommendations. Can be installed above grade or below. Can be installed over radiant heat.